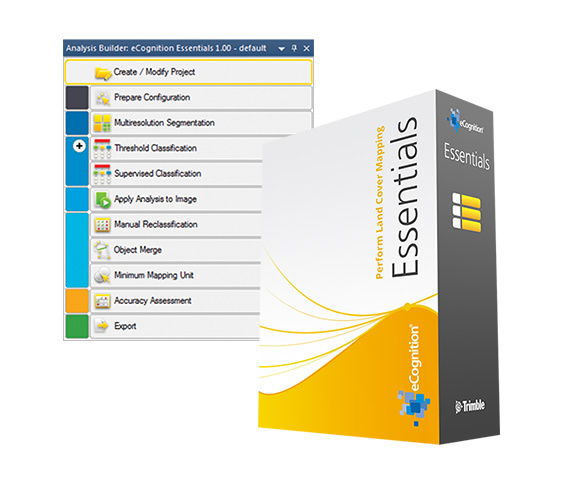 eCognition® Essentials is a remote sensing classification software that simplifies aerial image processing for local and regional environmental analysis and allows users to quickly produce high-quality maps ready for use in any Geographic Information System (GIS). Simply and rapidly analyze and assess built and natural environments for resiliency planning and monitoring. To request a license as a 100 RC city; contact your 100 RC relations manager.